My next-door-neighbor Emily one of those moms. Impossibly gorgeous, talented, creative, sweet, and effortlessly patient with her incredibly well-behaved sons. And perhaps I’d be bothered by these things, but she’s also one of those people you can’t help but want to be friends with. So I feel remiss in having taken so long to share the story of her latest business venture, a great invention called the “Haypenny Handmitten.” It’s just gotten so damn cold here in Brooklyn that it seems like a perfect time to do so. I don’t know if this is due to the fact that Margaret, the wonderful woman who cares for Fionn while we’re at work, looks at me like I’m smoking crackers when I suggest that indoor activities are fine, given the conditions. Because if she can get outside, she will. So being outdoors in weather that would make a mail carrier cry is just something that Fionn loves – and expects – from us on weekends as well. That’s where the Handmitten comes in. I’ll spare you all the details- you can read them in posts on Hybrid Mom and Daily Candy Kids. 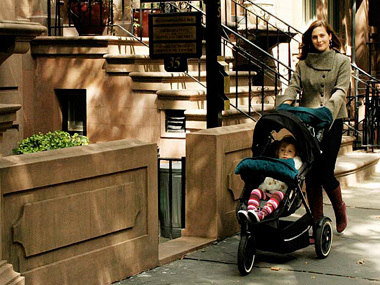 The bottom line is this: Emily has created a muff-like object that fastens around the handlebars of your stroller. It’s made of wool on the outside and fleece on the inside. 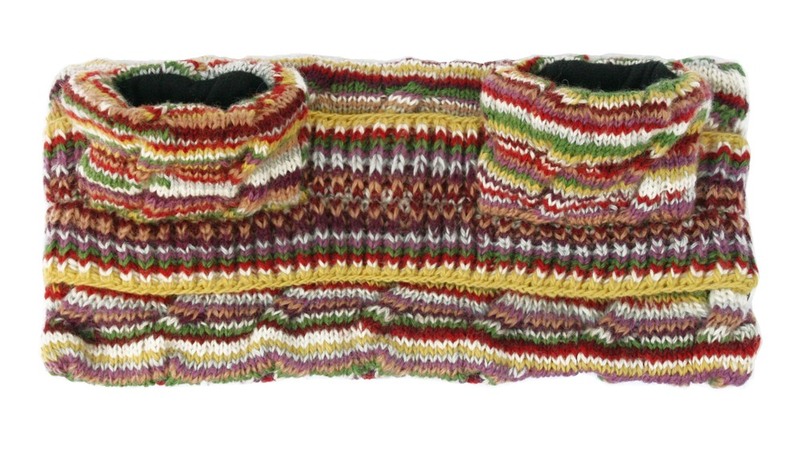 The sweater wool is knitted in fair-trade cooperatives in Nepal and Peru. You put your hands into the cuffs and push the stroller. You don’t ever lose a glove or get ‘stroller fingers,’ my term for the condition that leads to me switching off which hand goes in a pocket, while avoiding the stroller landing in a snow drift or falling off the curb. Visit her website here, and let me or her know if you have any questions.